Fusion: this is the most representative word for Pneumax technology. 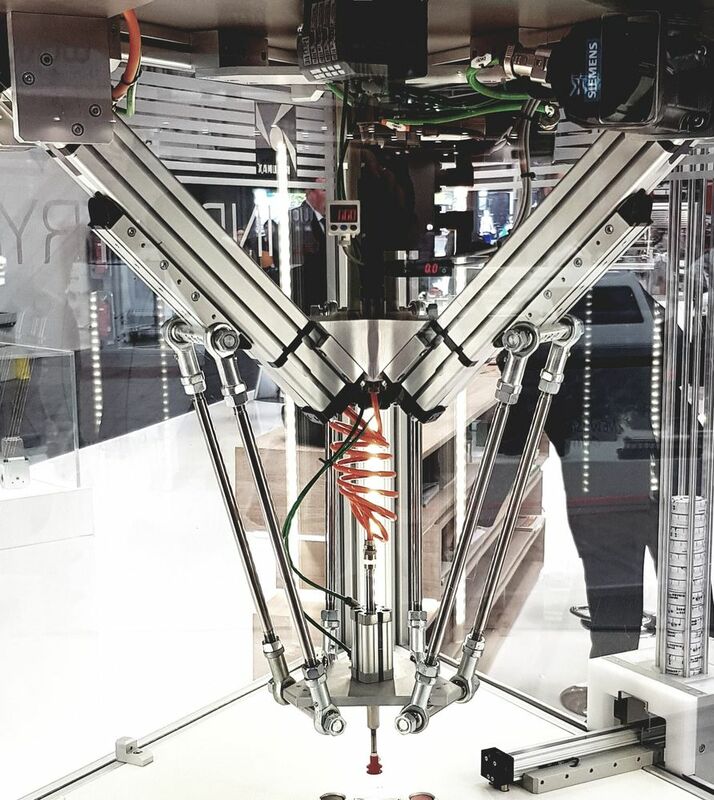 Fusion between the world of research and industry, between know-how of different origins and different professional skills, to create reliable products for smart automation. 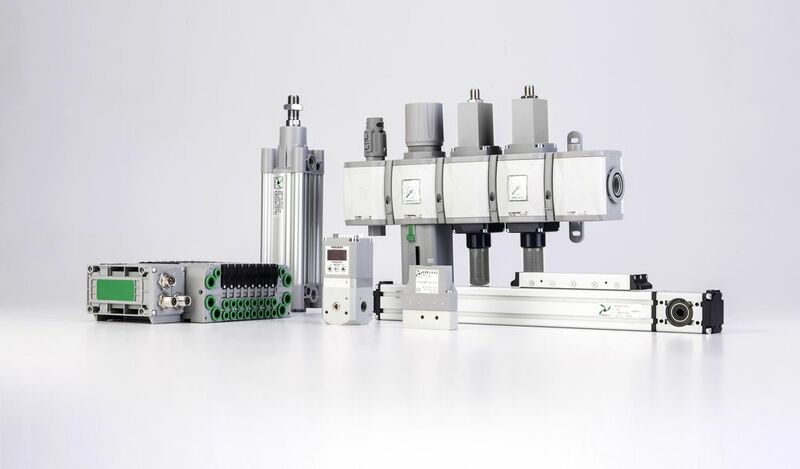 Pneumax range for electrical actuation has been enriched with new electric cylinders series 1800.Result of the fruitful partnership with Siemens, which supplies motors and electrical components and which always distinguishes itself for the technological level, quality and reliability of its products, allow meeting the needs of all industrial sectors. The process of expanding its technological boundaries, establishing strategic alliances with the most important players of the international market, are part of Pneumax strategic plans. In fact, the company set up a heterogeneous system of high technological value, in which every member, coordinating with its partners, provides its own specific know-how and contributes to an exceptional end result meeting the expectations of smart automation. Smart automation=smart consulting. Today more than ever it is necessary that technology companies are able to converse with the customers proving mental openness and far-sightedness. It is no longer the time of pre-packaged solutions, and to be innovative it is necessary to start from the specific needs of each application. The custom approach has always been characteristic of Pneumax philosophy, and it is well interpreted by internal technical and sales professionals. Product Specialist (for product families) and Business Specialist (for application sectors) communicate with each other and with customers to develop plans for specific advice, focusing on the needs of customers. There is only one logic: listen to the market and replace the concept of supplier with that of business partner. The electrical cylinder Series 1800, for instance, is the result of a specific need that Pneumax took from the market, especially in the food & packaging sector. These cylinders combine sturdiness, reliability and user-friendliness, both in terms of maintenance and configuration. Technical data. 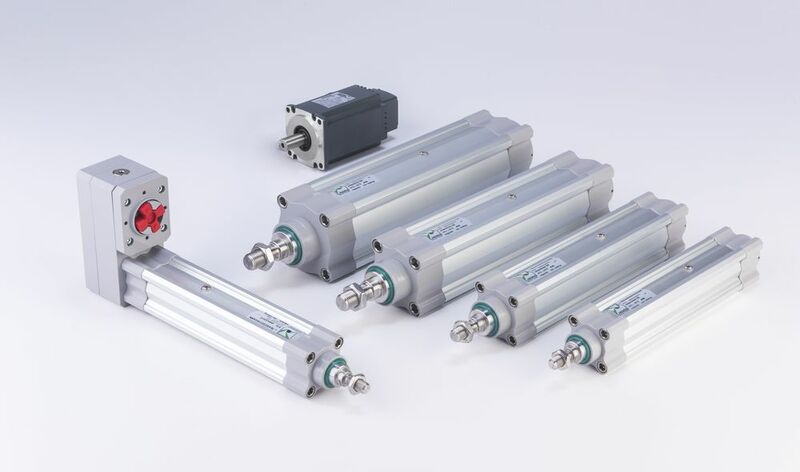 In the electric cylinders Series 1800, the rod translation is carried out by means of a screw transmission with ball recirculation and Siemens brushless motors, that can be fixed in line or in parallel (series 1FL – IP65).Compliant with ISO15552, they are available in four sizes (32-40-50-63), and come equipped with anti-rotation rod and IP65 protection. The magnetic piston allows to use external magnetic sensors useful for the homing when the cycle starts or to prevent over-stroke. They allow managing the variations in speed and ramps of acceleration/deceleration, with mid-stroke placements to intermediate with centesimal precision in positioning repeatability. High performance goes hand in hand with the control over the drive force. The cylinder (mechanical) can be sold separately or as part of a complete set, including cylinder, motor, cable driver. The motor can be fixed in line or in parallel with a toothed belt drive system (1:1 reduction ratio). A customised assembly kit is available to fit all types of motor and fixing positions. The magnetic piston for the use of external sensors allows the homing at the beginning of the cycle or as a security measure to avoid over-stroke. Among the peculiarities there are the motor fixed in parallel, with simple and fast fixing, without the need to adjust the belt tension. Periodically, the belt tension can be adjusted with a few simple operations, exploiting a special mechanical device available as optional.